I love how her elements seem so casually placed, but everything looks balanced and perfect! And JessicaSprague.com is offering a special with todays purchase! 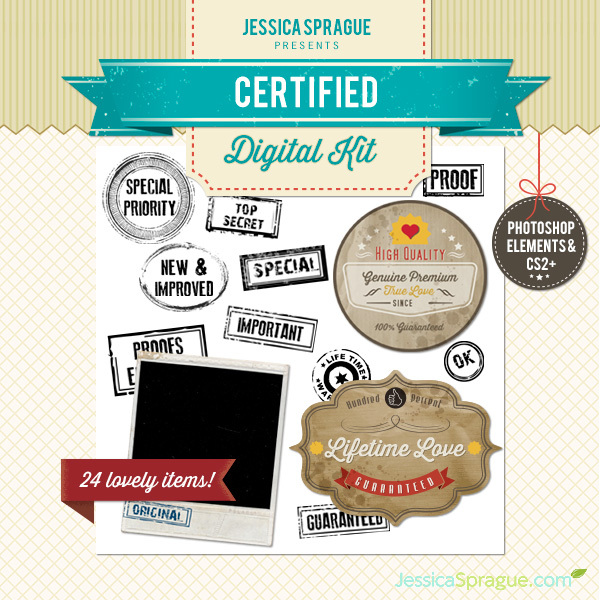 You'll get this awesome kit of 24 lovely items free with any purchase today! Don't wait! The sale ends tonight at midnight PST.